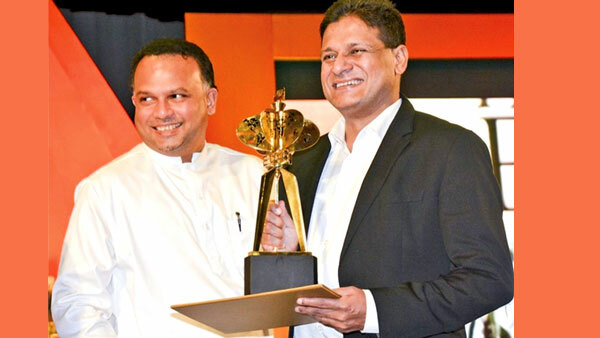 George Steuart Teas, one of the country’s foremost exporters of Ceylon Tea recognized as ‘Original Tea People’, were honoured as the ‘Highest Value Added Exporter in the Tea Sector’ in the year 2014 at the recently concluded 20th Presidential Export Awards (PEA), held under the auspices of President Maithripala Sirisena. The awards ceremony was organised by the Export Development Board (EDB) and was held to felicitate and recognise exporters who have made a significant contribution to Sri Lanka’s exports in the years 2014 & 2015. The awards symbolise the national recognition of the exporters, particularly in non-traditional products and services. “We are delighted that our efforts and contribution towards the growth of Sri Lanka’s exports, was recognised and rewarded in this regard as we have always strived to be the best in the industry for the greater good of the country. Tea being one of the main sectors and sources of foreign exchange in Sri Lanka, it is vital that we continue to look after the traditions of the industry and remain consistent in producing tea of the highest quality,” said Dai Pathmanathan Managing Director. Over the years the company has won many awards at events organised by the National Chamber of Exporters and the National Chamber of Commerce to felicitate and recognise exporters who have made significant contributions to the national economy.